As a foreign employee in the United States, you are permitted to work in the different industries. Once you get a permission to work in any one of these types, you are permitted to work. If you are still confusing, first of all, you should understand the difference between ead and green card. The term ead stands for employment authorization document. Actually, what does ead mean? This is a document provided by the United States citizenship and immigration services, i.e. USCIS, which gives a temporary employment authorization to the non-citizens in US. But the green card is totally different from ead. Primarily, every foreigner must need a working authorization or a visa for getting into the employment in US, but it does not matter whether it is a permanent or a temporary basis. The exact ead meaning is an employment authorization documenting that always obtained by a filing form and named as Application for Employment Authorization. Once the ead has been obtained, the foreign can be able to work in US legally for a specific time period. On the other hand, the green card is also called as a permanent residency. It acts as a major goal for those who want to work as well as live in the US. The ead can greatly helps an individual to get a green card. Once the persons become the green card holders, they have a lawful permanent residence in the US. This means they allowed to work and also live in the United States for any worker as well as agree with the specific terms and conditions of a permanent residency. If you receive a green card, you do not worry about the extra ead, i.e. employment authorization document. The reason is that the ability to work legally is also added in a green card. The green card system- How do it works? Nowadays, there are thousands and thousands of people are moving to various nations every year for different purposes. The couples of most commonly used ways to enter and stay permanently in the foreign country are visa and green card. In the US, this green card is provided by the United States citizenship and also the immigration services. Actually, the green card is a type of identity card offered for safety purposes. It also allows the non-native to become a permanent resident of the US. For a lawful purpose, it will only legalize the residency of a holder in the country. Once you apply for a green card, tracking green card is a most important thing to consider. Once you have obtained this card, you can permit to travel abroad and also travel back to that country. In addition to, it also act as a stepping stone to the complete citizenship in the upcoming years. Basically, the employment approval card, i.e. ead is also called as an employment permit and also the green card can share the same physical characteristics, but both are varied in practice. 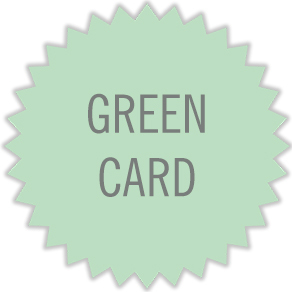 For beginners, the green card is a final goal, while the ead card is to achieve that goal. It is necessary to show a valid ead card to meet your requirements, but the green card holders and the US citizens do not require this document to prove this work eligibility; because it is an intrinsic advantage of green card. One of the greatest benefits of green card holder can have ability to travel anywhere freely inside the US as well as out of the country, but the ead holder can’t. The employment authorization card has a much more limited in what you do and also applicable in several non-immigrant types for those who are waiting for pending application with USCIS than compared to green card. Unlike green cards, the ead cards are ranged in their specific validity period based on a card holder status. One of the major limitations in green card is a processing time that requires waiting for a long time, but it is a benefit in ead that takes very less time. Is it necessity to get a sponsor for ead? Usually, the HR professionals and recruiters always have this common question about the ead sponsorship needs. 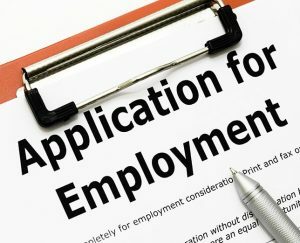 But the real fact is that ead card holders do not need an employer sponsorship to work; because it is independently eligible for the employ authorization. In order to get this ead card, first, you should know what the work authorization means. It is a document that popularly known as a work permit issued by the US citizenships. Why work card holder is necessary? Generally, the workers always need to have a company identification card. Usually, these cards are maintained it in a wallet and also present it in the work card holder for a specific purposes. When you are shifting and immigration in and out, this card can be scratched and focus to add wear that will lessen the life of a card. When you are choosing a work card holder, there are lots of great features to be considered. Usually, these cards are featured with memory chips that required protecting from scratches and also any other types of damage. Some of the designs to consider are single or double sided open faced rigid clear and landscape or portrait.